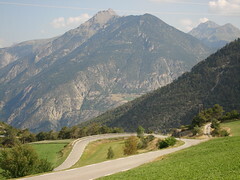 Stage 6 will see the Tour d'Enfer climb the mythic Col d'Izoard. Perhaps most famous for the exploits of Fausto Coppi and Louison Bobet. 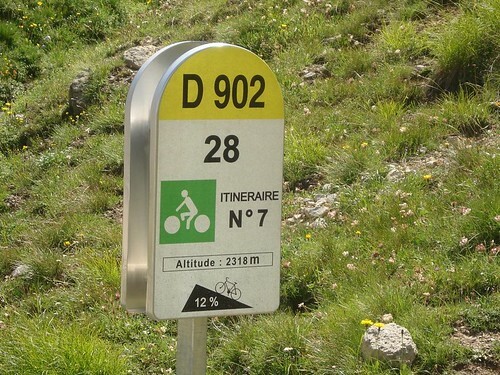 Here is a preview of stage six of the upcoming July 2008 Lost Boys Tour d’Enfer. Today we head for the South French Alps over two beautiful climbs – Col d’Izoard and Col de Vars. 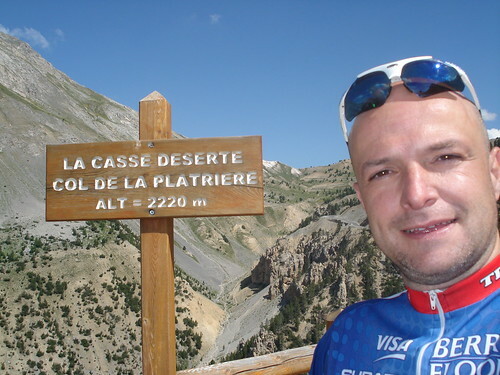 I am really looking forward to this stage, especially riding through the legendary Casse Deserte atop Izoard. Both Climbs are in Le Cycle Magazine’s list of the 30 most beautiful climbs in France. The route follows the BLUE track on the map. The red route is an optional extra explained below. 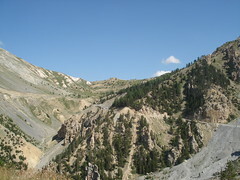 Izoard is certainly one of the true legendary Tour de France climbs, first appearing in 1922, and dozens of times since. 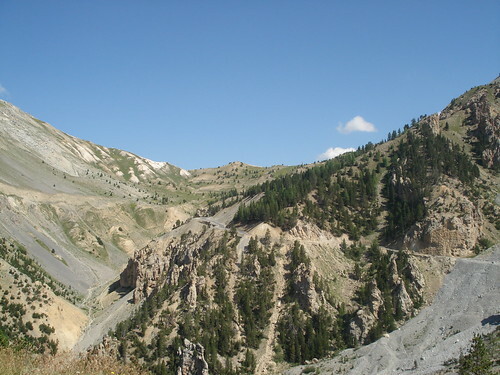 Izoard is perhaps most famous for the exploits of Fausto Coppi and Louison Bobet. Coppi crossed Izoard in the lead while winning the ’49 and ’51 Tours de France, while Bobet led over Izoard in ’50; ’53, and ’54. In fact, there is a fantastic monument to these two Tour Legends (see photo) about 1 kilometre south of the summit – it is VERY easy to miss this – as it is built into the rocks on a steep downhill stretch. We will be climbing the slightly easier, and less famous North side. But it’s a fantastic route and can be steep in places. We’re in cycling country and “Milestones” warn riders of the average grade of each up coming kilometre – see photo below. At the top everything changes. On the other side is the mythic Casse Deserte (broken desert). A beautiful, strange, rocky environment. As we descend, stop and take pictures of the Coppi/Bobet monument, then there will be a small climb up to the Col de la Platlière. Another photo opportunity! Then a 31.5 kilometre (19.5 miles) descent into Guillestre. The second half of this descent, is on a busier, faster road – careful. Col de Vars first appeared in the Tour de France in 1922, when Tour organizers had an idea for one of the first giant mountain stages – linking Col d’Allos, Col de Vars, and Col d’Izoard – all nothing much more than little dirt tracks 86 years ago. Since then it has appeared over 20 times. At the top is a monument explaining a bit of history about this pass since the 1300’s. This was often a contested border point between Italy – France – Savoie – etc., and a couple of battles have been fought (way) up here. 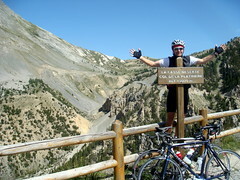 From the top it is a 30 kilometre (19 mile) descent to Barcelonnette and the hotel through a very scenic valley. Leslie has been brainstorming how to fit the Col Agnel into the trip. It is the red track on the map above and supposedly pretty epic. If the Tour d’Enfer has been too easy for you (!?!?!?) 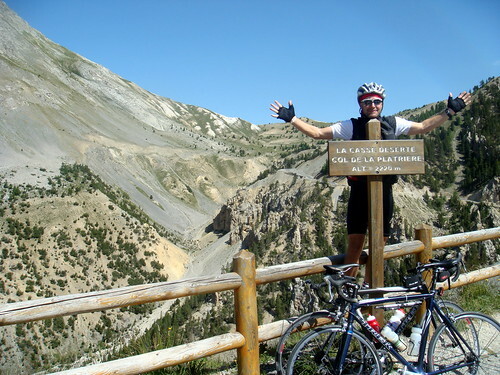 – the climb begins on the descent of Col d’Izoard. Possibly a day trip while we stay in Barcelonnette. This is an absolutely giant climb. 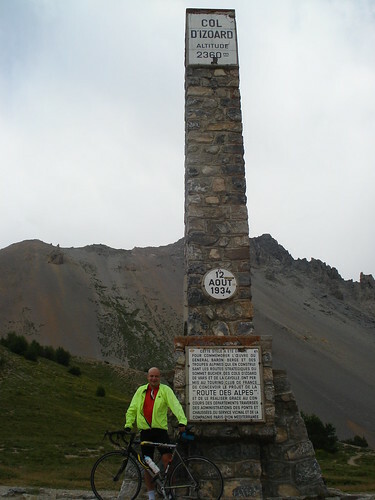 The second highest pass (only 26 metres lower than Col de l’Iseran and third highest road in France (only 58 metres lower than the Cime de la Bonette). The top is the French/Italian border. Not even I can get lost on this route.